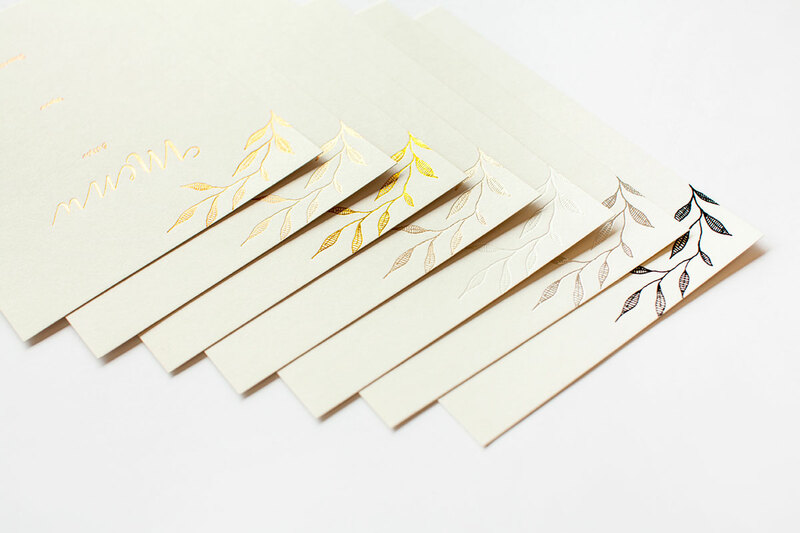 This fantastic Forest Walk collection by local independent designer Amber Barker was inspired by fresh and light wedding invitation set. 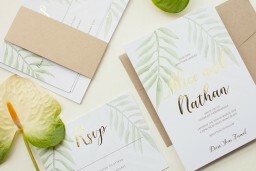 natural shades of green watercolour fern leaves married with an elegant script font. 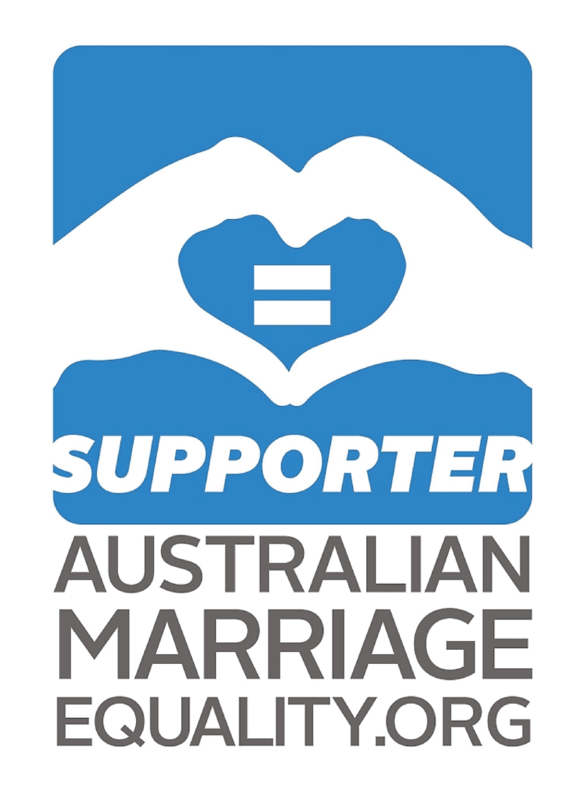 and would complement those planning a rustic ceremony. 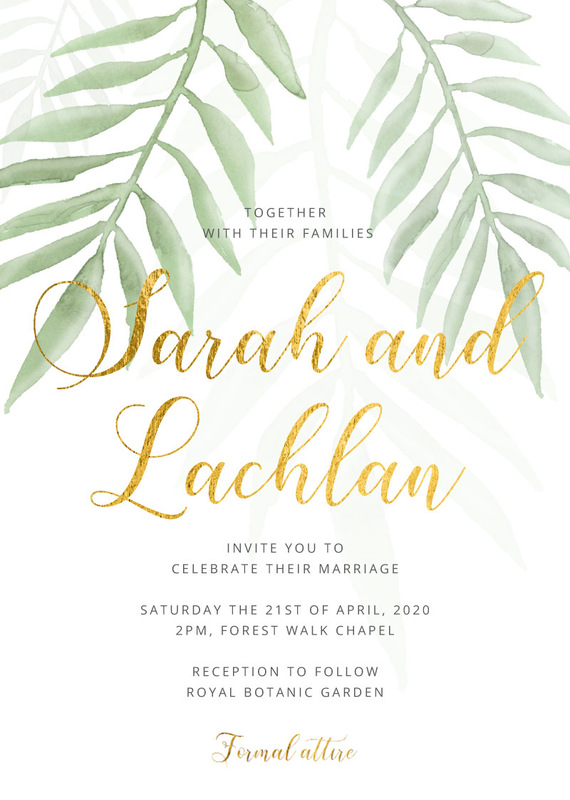 This Wedding Invitations card from the broader Forest Walk collection looks stunning when printed using Real Foil technique and when it comes to stocks, we think it looks best on Paperlust 300 GSM Matte.